For nearly 25 years, Michael Murphy has been a hands-on designer and creative director, crossing the line between design, production and software training throughout his career. Michael is an Adobe Certified Expert in InDesign, the author of Adobe InDesign CS4 Styles: How to Create Better, Faster Text and Layouts (Adobe Press, 2009) and co-author of Adobe Creative Suite 5 Design Premium How-Tos: 100 Essential Techniques (Adobe Press, 2010). He has also authored five video training courses for Lynda.com, including Learning GREP with InDesign, InDesign Styles in Depth, and InDesign for Web Design. 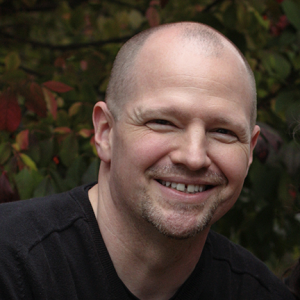 He is also a contributing writer for InDesign magazine, and a featured speaker at the InDesign Conference,PePCon, and several InDesign User Groups. Taken directly from Michael’s real-world experience, The InDesigner video podcast showcases the power of InDesign to automate repetitive tasks, improve productivity and build unprecedented flexibility into the design process. The InDesigner is dedicated to empowering designers to understand and embrace concepts and features that will transform how they work and allow them to both meet their deadlines and satisfy their creative passion.